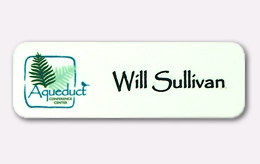 Namebadges can be cut any size to fit your needs. 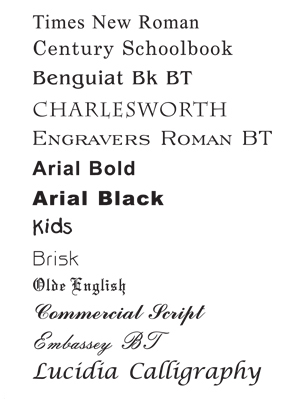 See below for standard engraving plastic color combinations, please keep in mind that these colors are approximate. 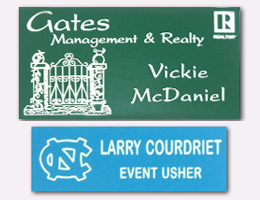 We have the standard pin back, magnetic back (no pin damage), double push-pin back or bulldog clips. 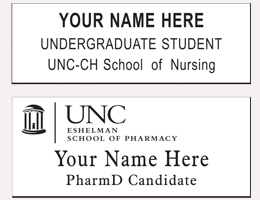 The source for UNC School of Nursing and UNC Eshelman School of Pharmacy nametags. 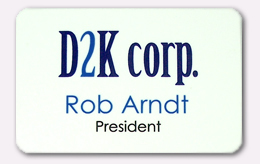 Color Namebadges on White available as 1x3, 1.25x3 and 2x3 with rounded corners! Prices listed on this site do not include engraving fees, call or email for more information.